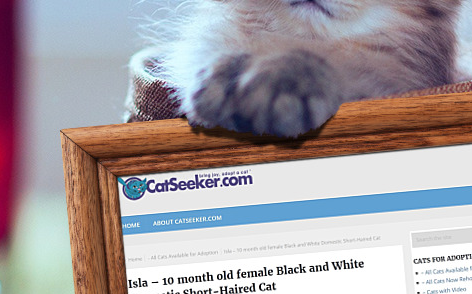 CatSeeker.com is a unique and innovative online resource for would-be cat owners to access in order to locate a suitable cat currently living in the animal welfare system. The easy to navigate, user friendly nature of the website is what makes CatSeeker stand out. Never before has it been easier to locate, at the click of a mouse, the most suitable and worthy cat or kitten to share your life with. Users are able to browse cats needing homes via a range of simple search criteria.